No baseball today. At least not Yankees baseball. The exhibition season is over, and the team awaits its first regular season game tomorrow. The final Grapefruit League was fun and not so fun. 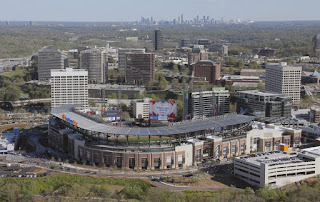 The new SunTrust Park in Atlanta is a gorgeous stadium and it certainly ranks at or near the top of the new stadiums. It is very impressive. I know that it was still a spring game so stats mean nothing but Greg Bird had the honor of delivering the first home run in the new park. Someone else will have the courtesy of hitting the first regular season home run there but Bird has the distinction of the first home run period. The game itself didn’t go so good. 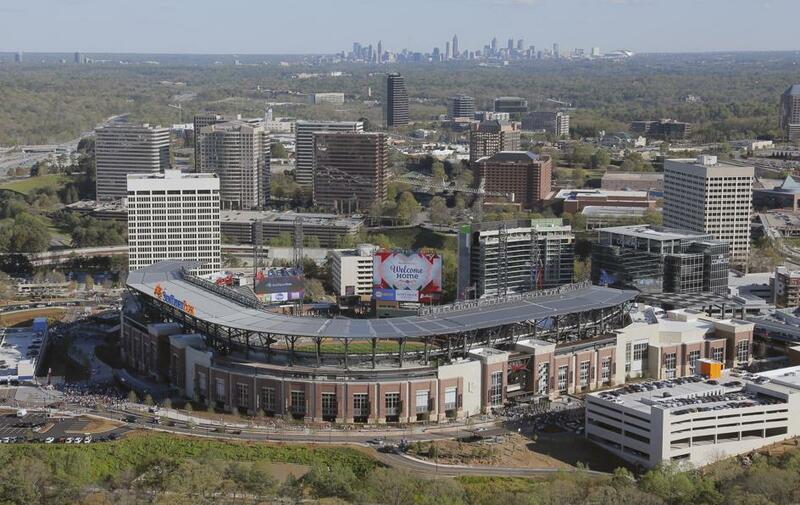 The Atlanta Braves had the courtesy of picking up the first win ever at the new ballpark. I have been excited about Jonathan Holder and the announcement that he had made the final roster but he was on the mound when the Braves scored the 6th inning runs to break a tie, giving them the cushion they needed for the win. The runs were caused by an error so Holder wasn’t charged with any earned runs but it was still a disappointing way to end spring training. After the game, Manager Joe Girardi said the Yankees can be really good if the veterans do their job. That’s funny. For a change, it’s not the kids who need to step up but rather the vets. It’s disappointing knowing that Jacoby Ellsbury and others are holding us back. I say that in jest (well, not the Ellsbury part) but it’s a great testament to the job that the young guys like Bird and Gary Sanchez have done this Spring. Against Atlanta, the vets did not fare well. Brett Gardner, Matt Holliday, Jacoby Ellsbury, Starlin Castro, and Chase Headley all went 0-for-2. One bright spot was Chris Carter doing what he is supposed to do, delivering a pinch hit home run. If he does that a few times at Yankee Stadium to win games, he’s going to be a popular guy even if he can’t otherwise hit or field. Michael Pineda finishes the Spring schedule with a 4.32 ERA. He went 5 innings against the Braves, allowing six hits and three runs. He walked a batter and struck out six. He allowed a home run to Freddie Freeman but it’s hard to blame Pineda. Freeman is going to do that to a number of pitchers this year. The Yankees lost the game, 8-5, and finished the Spring at 24-9-1. They won the Grapefruit League by 1 ½ games over the St Louis Cardinals, and they had a better record than the Cactus League champion Los Angeles Angels. It was Spring and the records mean nothing but here’s hoping that it is a springboard to a happy and successful 2017 season for the Pinstripers.